As US sanctions on Venezuelan oil restrict one of the last lifelines for the embattled regime of Venezuelan dictator Nicolas Maduro, talk of all-out civil war has intensified (one US admiral even suggested that the US could dispatch ground forces to the ailing socialist republic if it feels its diplomatic personnel are being threatened). And with opposition leader Juan Guaido winning the support of a growing share of the international community, his government will soon benefit from more financial support in the form of escrow accounts that will be seeded with revenues from Venezuelan oil. Last month, John Bolton tweeted that he sincerely hopes Maduro will abandon his claim to power and flee to "a nice beach somewhere far from Venezuela." With Maduro's fate looking ever more tenuous (though, to be sure, despite a wave of defections, he still commands the loyalty of the Venezuelan military), Bloomberg on Monday offered a comprehensive look at all of the countries where Maduro and the senior ranks of his government could end up seeking asylum. To be sure, offering safe haven to Maduro could carry risks both for the Venezuelan dictator and the country involved. Still, the locations reportedly under discussion include both unsurprising candidates (Cuba) and surprising ones (...the Vatican?). The Cuban Communist regime led by Miguel Diaz-Canel has been both an ideological ally to Maduro's Bolivarian Republic and a source of financing during times of stress. But taking in Maduro could put Cuba "back on the US radar" after President Trump has done surprisingly little to roll back the detente ushered in by the Obama Administration. 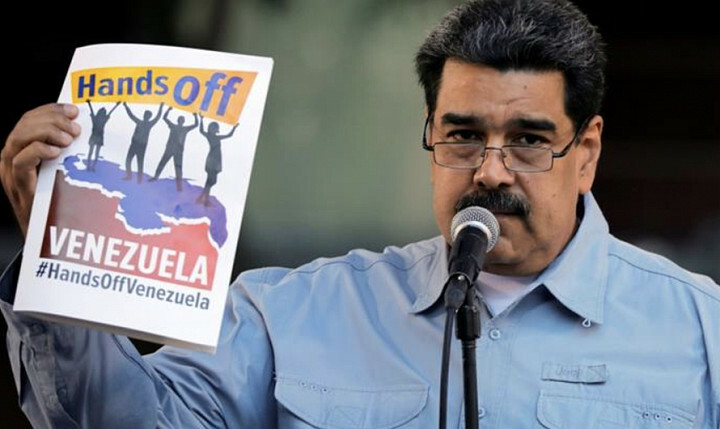 Moscow has been one of the Maduro regime's most outspoken backers (its state-controlled oil company Rosneft has sunk billions of dollars in investments into Venezeula's state-run oil company). Still, Russian lawmakers insisted they would rather see Maduro remain in power in Venezuela. One Russian lawmaker said he believes Maduro and his allies would sooner take to the hills and become guerillas before leaving the country. Moscow is not fond of Maduro, but has little choice in the matter, according to a person with knowledge of the internal discussions who spoke on condition of anonymity. The Kremlin won’t encourage him to flee unless there is a clear alternative -- and for Moscow that is not Guaido, the person said. "He is not planning to go anywhere," Russian lawmaker Andrey Klimov, deputy head of the upper house of parliament’s foreign affairs committee, said by phone. He dismissed talk of Maduro’s evacuation as "psychological warfare" aimed at "sowing panic and hysteria." "I think Maduro and his people are more likely to become guerrillas and make a second Vietnam of Venezuela,” he said. Russia, he added, is “talking to Maduro in order to ease tensions inside the country and abroad. But we can’t command him." Still, Russia said it doesn't "give up on its own", suggesting that if Maduro was truly desperate, he could turn to Moscow. If Maduro turned to Russia, President Vladimir Putin would give him refuge, said Andrey Kortunov, head of the Russian International Affairs Council, a research organization set up by the Kremlin. "It’s not in our rules to give up our own - and he is still one of ours," he said. Another likely contender is Mexico, which has a long tradition of taking in leftist exiles and also the Shah of Iran. After his falling out with Stalin, Leon Trotsky, the infamous Soviet revolutionary, fled to Mexico, where he was welcomed proudly by the country's leftist leader (though he was later murdered by agents of Stalin). Lazaro Cardenas, the leader who took in Trotsky, is a hero for AMLO, Mexico's current leader. Mexico has remained one of the few countries in Latin America to continue to recognize Maduro as Venezuela's legitimate ruler. In another sign that Mexico could offer asylum to Maduro, Jorge Rodriguez, Venezuela’s communications minister, traveled to Mexico last month while Spanish Prime Minister Pedro Sanchez was also in the country. Talks between the various parties reportedly focused on Mexico's utility as a conduit for talks between Maduro and the opposition. President Erdogan has praised Maduro, and officials in his government have suggested that Maduro could seek asylum there, though only as a last recourse. Last month, Guaido appealed to Pope Francis for help in acting as a mediator between Guaido and Maduro, though the Vatican remains an unlikely source of respite for Maduro and members of his regime. One factor that could complicate a Maduro exit is his vice president, Diosdado Cabello, who has been under investigation by US prosecutors since at least 2015 for his alleged involvement in cocaine trafficking. Still, anybody who believes the demise of the Maduro regime is imminent should take another look at what happened in Syria during the wake of the Arab Spring. Back in 2011, almost every analyst quoted in Western media predicted that Assad's downfall would take a matter of weeks, not months or years, according to BBG. Nearly eight years later, not only is Assad still in power, but he is stronger than ever before. The same could very well hold true for Maduro, who also enjoys the backing of Russia and Iran.